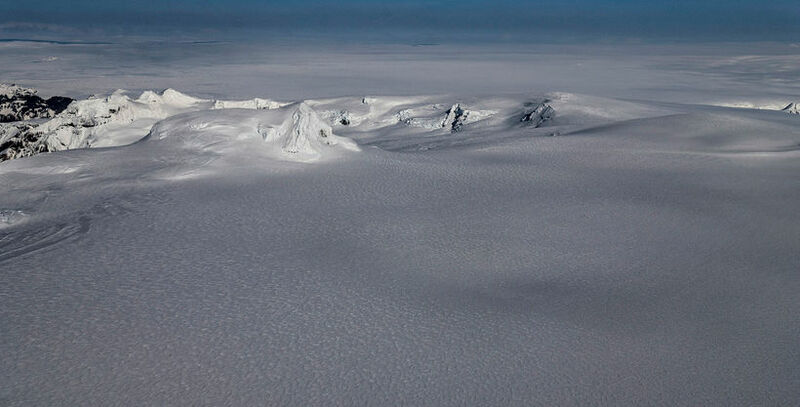 Morgunblaðið photographer Ragnar Axelsson captured Öræfajökull on aerial photographs this weekend. The new caldera is clearly visible in the images despite being covered in a thick layer of snow. A new 3 D image made by the University of Iceland's Geological department show that the caldera deepened by 20 centimetres in a short period of time in November. The images were made by using various information, including aerial photographs made by Axelsson who has taken three plane trips across the expanse of the glacier.